Almost every year, some part of Australia will face the devastation, destruction and potential loss of life of a bushfire. We happen to live in a country where periodic bushfires are part of the lifecycle of our forested and wooded areas meaning it is a reality we have to deal with. It’s not something we can ignore. If you live in an area that is fire-rated or bushfire prone, the way you landscape your home could be one of your best defences. Here are some tips for smart landscaping come bushfire season. The way you place garden beds, trees and other plants is essential in landscape design. The aim is to make your home a defendable area by keeping all flammable objects away from the house and any other structures like your garage or sheds. Think about anything that could potentially catch fire and spread to your home and remove that link. All plants are flammable to some extent, so it’s not about finding fireproof plants, it’s about finding the types of foliage that will offer the least fuel to a fire. You need to look at two factors when selecting a plant, the composition and the form. The best composition for a plant is one marked by high salt concentration, high moisture and low volatile oil levels. When it comes to form, look for something with smooth bark, dense foliage and an ability to quickly shed dead matter. Choosing low-risk plants can even act as a fire barrier for your home, as the moist leaves can shield against heat and embers. You can also use fire-resistant shrubs and ground covers to offer protection against fire travelling along the ground and up into surrounding trees. 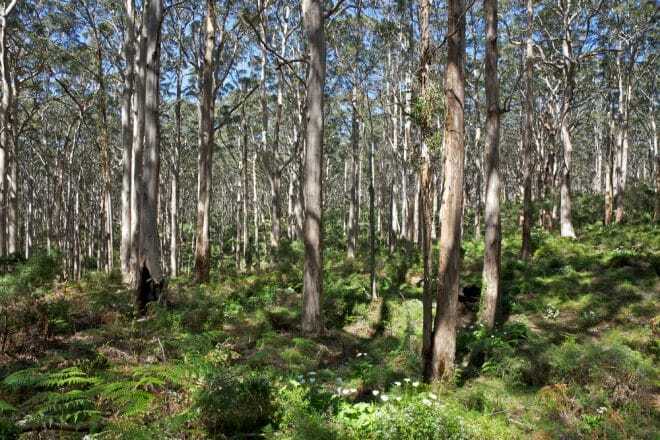 European deciduous trees and shrubs are great options, while melaleucas, eucalypts and other native trees are your worst option because they have evolved to catch on fire. You should also keep vines and creepers off walls and other structures. Good landscaping is all about maintenance, and this is incredibly important if you live in a fire-prone area. The most important thing is to keep your garden well-watered, in fact, if you feel there is a fire danger your entire yard should be soaking. Fires love dry vegetation, so the wetter, the better. You should never use wood chips or any other flammable type of mulch. Instead, you can use gravel for the same purpose. You also need to keep all rubbish and wood piles away from your house and keep your grass trimmed to 10cm or less. How Much of Your Landscaping Is Made of Wood? If you look around your backyard, do you see lots of wooden elements? Maybe a timber decking? Or a pergola? Do you have wooden fencing or even some wooden furniture? If you live in a fire-prone area, each of these elements is fuel for a rampaging fire. The first thing you should do is move wooden elements away from your home. This way, if they do catch on fire, that fire won’t spread into your house. If they can’t be moved, you should consider replacing the wood with a composite and fire repellent material, like composite timber. This timber is rated as being fire resistant, meaning it acts to repel rather than spread the fire. This gives you the chance to fill your backyard with a material that won’t add further fuel to a fire that is threatening your property and your family’s safety. While of all these tips will help to create the right sort of landscape in a fire, it’s not the only solution. If you live in a fire-prone area, you need to have a comprehensive and multi-faceted plan. Nothing is more unpredictable than a bushfire, they can spring up almost immediately and spread with terrifying velocity. Your greatest asset is the CFA,. You should put all their warnings and advice into practice. After all, the CFA is an authority that has seen the devastation fire brings. They know how to avoid it. You should visit the CFA’s Plan and Prepare for Fires page and make sure your property is ready for summer.